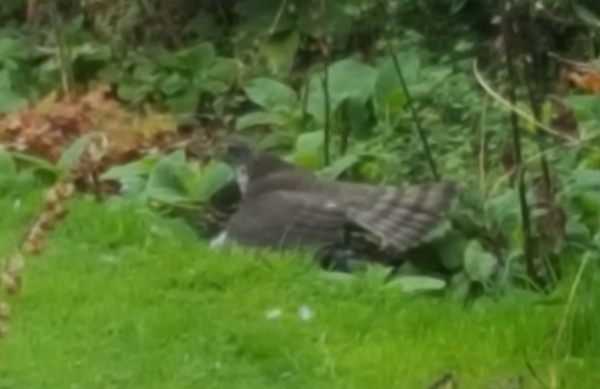 Hmm, it seems my post yesterday about next door's cats eating pigeons in our garden may have alerted the local birds of prey to the easy pickings we have here. This one was so impatient it started eating the pigeon (which it's shielding with its wings in the photo) before it was dead. I'm not sure what kind of bird of prey it is, but looking through the D&D Monster Manual my guess is it's a griffon.